Imagine the world overrun by a mysterious new disease called “Haden’s syndrome.” For most who contract it, it’s no worse than a nasty case of the flu. But a small percentage of its victims become “locked in”: completely paralyzed, but also completely conscious. 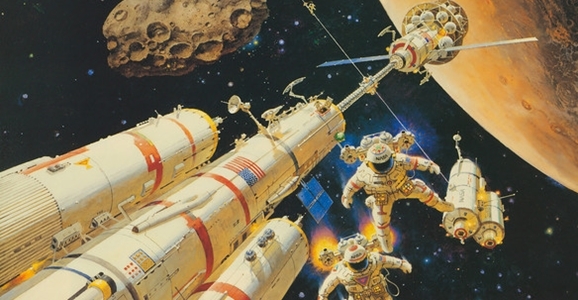 That’s a prospect that’s pretty damn close to the worst-case scenario for many, and it serves as the launching-off point for John Scalzi’s recent novel Lock In, which has only been out for around a month but is already in development as a potential TV series. 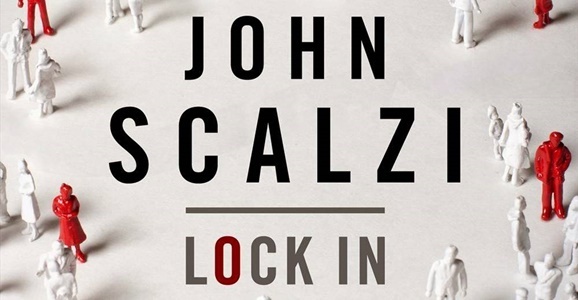 Published in August by Tor, Scalzi’s Lock In picks up a quarter century after Haden’s syndrome swept across the planet, long enough for society to have adjusted to the new reality the virus imposes. One of the more unusual of those changes is the existence of “integrators” — people with the ability to allow the locked in to borrow their bodies and go for a joy ride. But when two FBI agents are assigned to investigate a murder that involves an Integrator, you begin to realize how difficult upholding the law would become in a world where the person committing the crime might not be the original owner of the body. Geek icon Ronald D. Moore’s recent comments on the state of science fiction have polarized genre fans. Moore called a majority of modern sci-fi too “popcorn,” while movies and TV shows are too obsessed with entertainment rather than exploring more adult themes and ideas. Whether or not he’s correct, there are a ton of new sci-fi shows and movies are in the works, and it’s up to critics and audiences to find value in them. 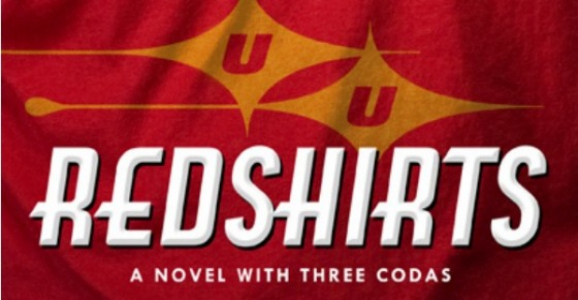 With that said, cable network FX is working on an episodic adaptation of John Scalzi’s 2012 novel Redshirts. According to Deadline, the FX is working with feature film producer Jon Shestack, director Ken Kwapis, and his producing partner Alexandra Beattie to develop a limited series based on the Hugo Award-winning novel. The team is currently looking for writers to adapt the book. Kwapis is in place to direct the series’ first episode, and Shestack and Beattie will serve as executive producers. We’ve got your back here at GFR. We consider it our function to share the most interesting science stories with you, to explore the weird little footnotes of science fiction history when we run across them, and even occasionally to point you towards some free stuff. It must be your lucky day, because this story falls into the “free stuff” category. The folks over at Tor.com are celebrating their fifth anniversary by releasing a free ebook collecting five years’ worth of original science fiction. The advent of ebooks has given the publishing industry a much-needed shot in the arm, but for the most they’re a simple matter of translating printed pages into a digital form. Comic books could do the same thing, and so far have, for the most part. After all, even if all you do is port the visual storytelling of a comic from ink and paper to crystal-clear clarity on a tablet screen, that’s already a huge upgrade in the user experience (I’m a huge comic reader; I haven’t bought a hardcopy comic in something like two years.) But emerging technology gives digital comics the chance to evolve, in ways much more interesting than the developmental dead-end of so-called “motion comics.” Old Man’s War author John Scalzi knows a thing or two about storytelling, and with an upcoming project called Morning Star Alpha, he’s striving to give digital comics a true narrative upgrade. As we first reported earlier this year, Morning Star Alpha is a tie-in to an upcoming mobile shooter game called Morning Star. It’s being developed by Bungie co-founder Alex Seropian’s Industrial Toys company. Set to release later this year, Morning Star follows a research vessel called the MSRV-Joplin, which investigates a mysterious signal within our own solar system, only to have things go pear-shaped after a Farscape-style plot twist dumps them on the other side of the universe and into the middle of a massive interstellar war. 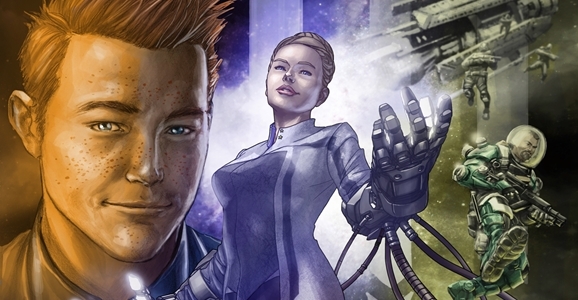 Morning Star Alpha, the tie-in comic, will release a few weeks prior to the game. 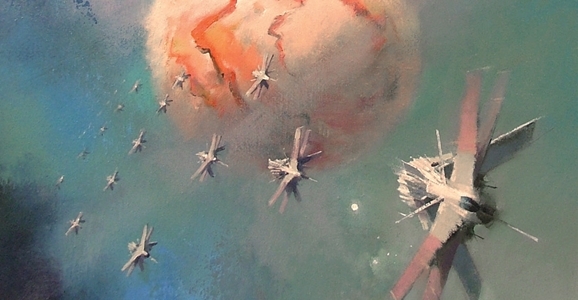 We have an uneven love for Hugo-nominated science fiction author John Scalzi here at GFR. I love love love Scalzi’s Old Man’s War, and would easily classify it as one of the best science fiction novels I’ve ever read. However, publisher Josh Tyler was not a fan of one of Scalzi’s most recent works, the amusingly titled Redshirts. But while Redshirts may have left a bad taste in the boss’ mouth, Scalzi has recently returned to the Old Man’s War universe with a serialized e-book entitled The Human Division, which was collected and released as a whole a few weeks back. Now Tor.com has some extra goodies for Scalzi fans: two new Human Division short stories you can download for free. You’ll have to sign up for a Tor.com registration, but once that’s out of the way you’ll be able to download “After the Coup” and the uniquely titled “Halfte Sorvalh Eats a Churro and Speaks to the Youth of Today.” They’ve got it available in several formats, including PDF, .epub, and .mobi. 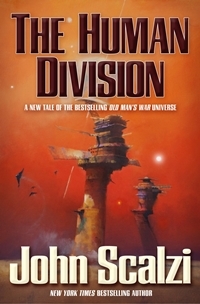 The Human Division follows up on the events of The Last Colony, which was itself the third volume of Scalzi’s Old Man’s War saga. You can pick up the hardcover right here, and check out a synopsis for The Human Division below. And while we’re at it, you should totally be reading Scalzi’s blog.